The Churchill Arms is an institution and it draws a crowd nearly every night, in some part thanks to Instagram, I’d guess. 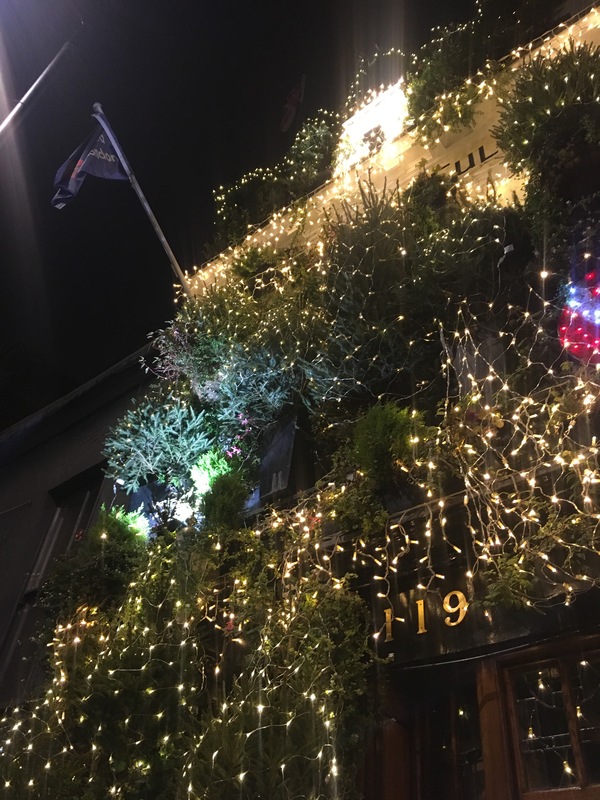 This pub in Notting Hill is truly unique, covered in flowers all year long. But it’s the Churchill Arms at Christmas that’s my favourite and definitely worth going to see if you love the holiday season. 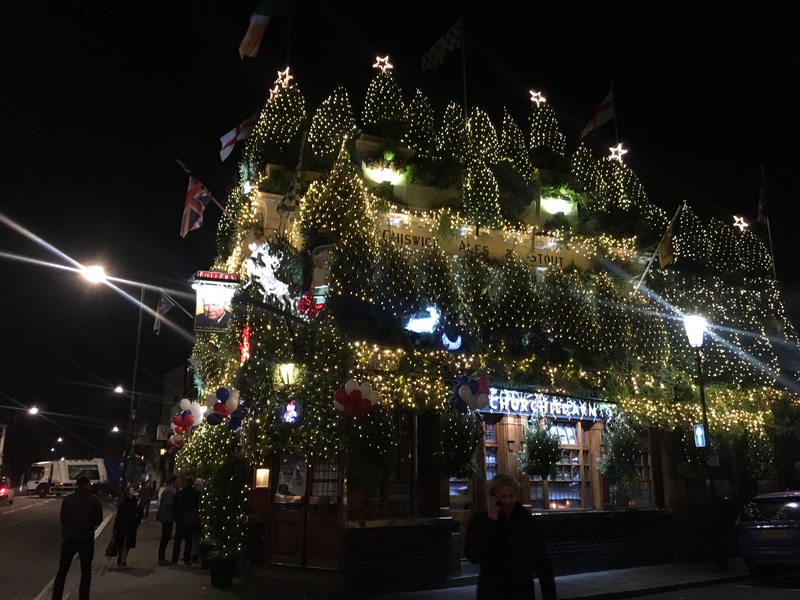 During Christmas, the pub is covered in real, live Christmas trees. It is a sight to behold and a great place to grab a tasty meal and a pint. Inside in the restaurant is also all covered in plants. 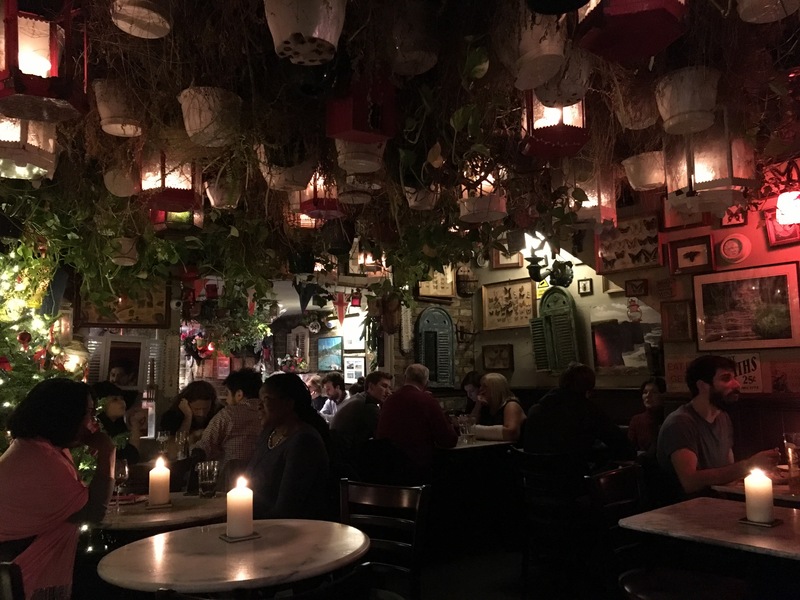 During the dark, grey London winter, I don’t blame people from around the city or visitors for seeking out this quirky pub! Even in the dead of winter, the flora and fauna adorning this pub make it worth the trip. Instead of traditional pub fare, the Churchill Arms serves Thai food. Tucked away at the back of the pub is a Thai restaurant. Covered in potted plants, dinner becomes a kind of exotic experience. I’ve only ever had the pad Thai there, and it is good. The staff is quick and will rush you along to be able to turn the table for the next Christmas tree admirers to get a meal. Because of the rush, the service is good. The ambiance among the many plants is what makes the meal. While the Thai restaurant is an experience, but the pub itself is not to be missed! A little divier and quaint than most other pubs you’ll find in the Kensington area, the Churchill Arms is super cozy. Here, regulars, locals and tourists alike gather over pints. It’s neat to see those three separate audiences come together so seamlessly. 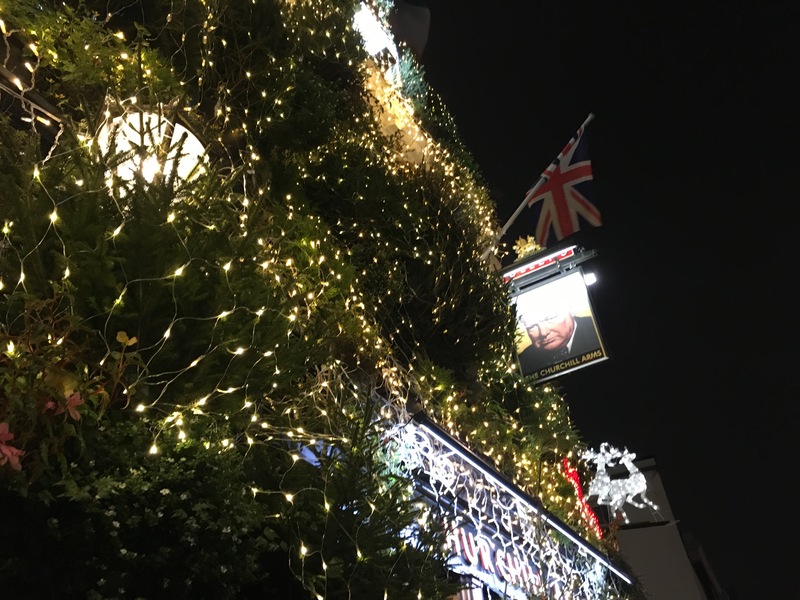 I recommend visiting on a warm December night to have a pint outside and admire the Christmas trees and lights! 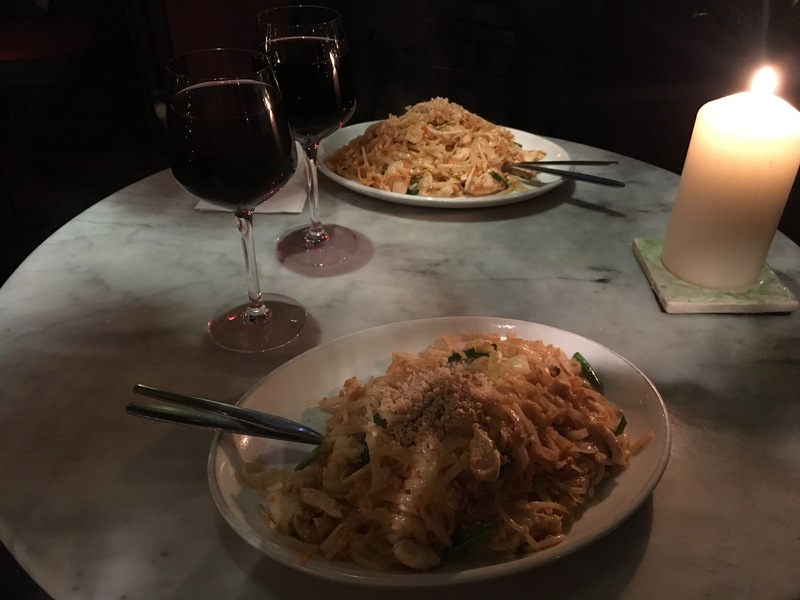 If you’re looking for a more leisurely dining option nearby, I’d recommend going for a pint and then grabbing dinner at either Tem Tep just doors down or The Hillgate around the corner!